It’s National Siblings Day, not international for some reason. In honor of this momentous occasion I would like to share a little about my sisters with a couple of, you guessed it, excerpts from my book Everyone’s Advice Is Wrong . . . Including Mine. Rockefeller, Trump . . . Bachuwa. My grand aspirations for becoming a millionaire mogul was inspired by such sibling rivalry. 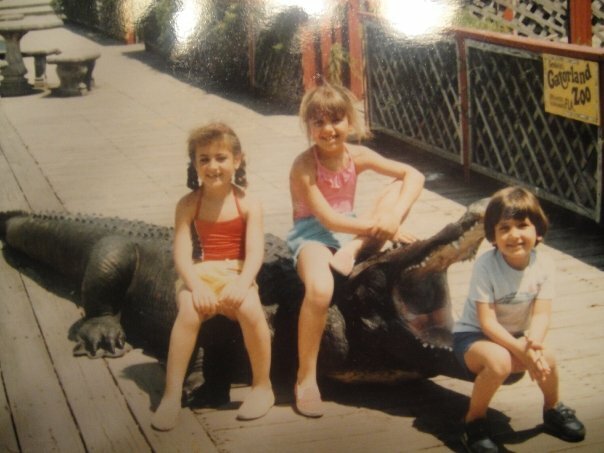 Throughout the years, my sisters have always listened to my wild ideas about how I will strike it rich. They tolerate my ‘I have the best idea ’ stories and for that I am thankful. On a few occasions, I have tempted them to join me on one of my hairbrained expeditions. The idea was simple: utilize the same franchise model that was obscenely successful in the Midwest, bring it to the Southwest, and eventually expand to one of the largest universities in the United States, Arizona State. With that foolproof formula in mind, I spent many evenings building my Mercedes SL65 AMG on mbusa.com, conflicted as to whether or not I needed navigation. As [bad] luck would have it, I was accepted into Arizona State, inconveniently an hour and a half drive from Tucson, my prospective Jimmy John’s franchise location. In need of a local partner, I convinced my sister Zina to move from Michigan to Tucson and run the day-to-day operations. I figured that I could commute from Tempe to Tucson a few times a week while she made the sandwiches. With Zina on board, I grew ever more excited about this plan. Enthusiasm, like the “free smells” neon sign in a Jimmy John’s window, was as close as I would come to owning a Jimmy John’s. Today, as in literally today, I speak of the missed opportunity of Jimmy John’s as they finally opened one in Old Town Scottsdale, probably the 50th location in the Valley. But, even if Zina and I did not become sub-shop millionaires we still have the support of our older sister Rima cheering us on until we do breakthrough. So on this made up social media holiday, I’d just like to thank both of them for their support. I know that I will get at least four books sales from them- 2 Kindle and 2 hardcopies.